Renowned fashion designer, businessman and entrepreneur, Peter Morrissey has been at the forefront of the Australian Fashion Industry for over 30 years. Peter has successfully crossed over to the mainstream with his Peter Morrissey brand available exclusively at department store Big W. The brand includes apparel, shoes and accessories for men, women, teens, kids and baby, as well as a homewares and manchester range which brings to fruition Peter’s philosophy “I want to fashion people’s lives, not just their wardrobes”. Peter has dressed A-list stars including Nicole Kidman, Elle MacPherson, Helena Christensen, Jerry Hall, Dame Edna, Naomi Campbell, Linda Evangelista, Megan Gale, Kylie Minogue, Jon Bon Jovi, Chris Isaac, Geoffrey Rush, Michael Hutchence and INXS. Peter Morrissey has used his extensive design experience working with corporations to redesign their uniforms and company branding. 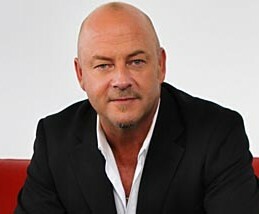 Peter has dressed over 80,000 Australians a day, both nationally and internationally through his uniforms designed for Qantas, IAG, OPSM and Novotel Hotels.Peter has received a multitude of awards throughout his career including GQ Man of the Year, FHM Designer of the Year and CLEO Maybelline Designer of the Year. Peter has been Ambassador for the Qantas Share the Spirit Initiative and a mentor for the Qantas Spirit of Youth Awards.